Almonds have been heavily researched for their health benefits, specifically in studies that investigate their ability to lower cholesterol and promote weight loss relative to lower-in-fat diets. Although California is the number one producer of almonds in the world, these nuts are deep rooted in Mediterranean history and industries dating back thousands of years. Explorers ate this nut as they traveled between Asia and the Mediterranean on the Silk Road. And shortly afterward, almond trees were planted and flourished in Spain, Italy, Greece, and Morocco. The domesticated varieties have a sweet flavor, although the bitter varieties are also used in cooking. 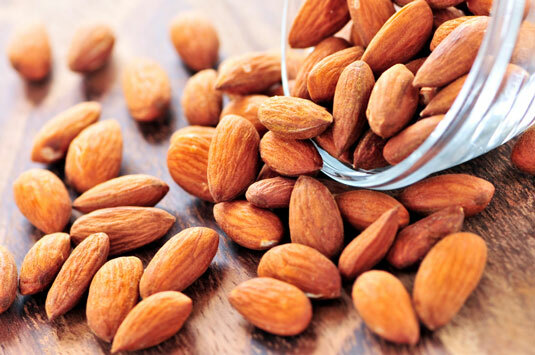 Although almonds are typically consumed in their raw form, they are extremely versatile and frequently used in cooking. 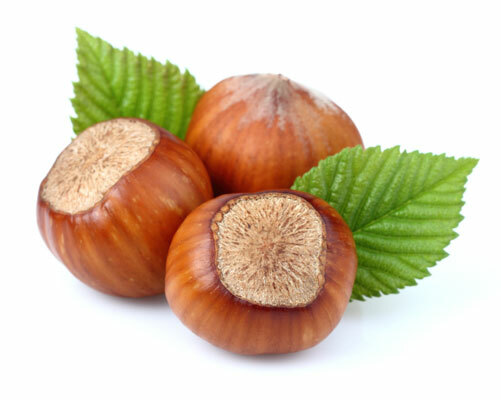 Hazelnuts are a good source of B vitamins like thiamine and folate. Hazelnuts, also known as filberts and largely produced in Turkey, were one of the three nuts used in a large-scale Mediterranean diet study on heart health in 2013. The researchers used almonds, hazelnuts, and walnuts to show that the Mediterranean diet supplemented with nuts (one of the groups monitored) greatly reduces risk for coronary events and dying from heart disease. Thiamine and folate are essential for energy metabolism and cardiovascular health, and help create the hormone serotonin, which boosts your mood. They are also full of flavonoids like proanthocyanidins, which are the same kind of antioxidants that give green tea its benefits, including improving circulation and protecting brain health. Although hazelnuts can be eaten raw or roasted, the nut and its oil are more frequently used to add a rich flavor to cookies, cakes, and chocolate recipes. They are also ground into flour for baking. You may be most familiar with hazelnuts as the main component of Nutella, which is made from roasted hazelnuts, skim milk, and cocoa. The popularity of pesto sauce has brought pine nuts into the American culinary spotlight in recent years. 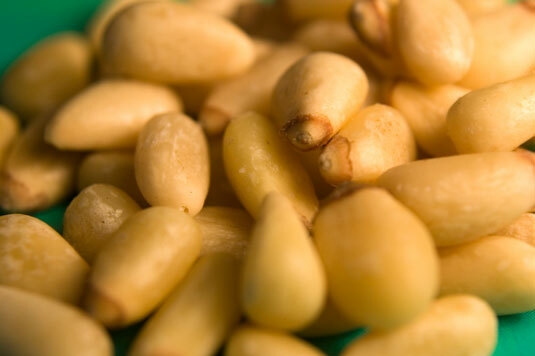 In ancient Rome and Greece, pine nuts, or pignoli, were suggested to be an aphrodisiac, and today the Mediterranean pine nut crop comes specifically from a pine tree species in Spain, Portugal, and Italy. You can’t just get pine nuts out of any pine cone that falls on the ground, but in certain areas and climates in America, they are produced with a sweet, fruity flavor that’s tasty enough to eat. The oil from pine nuts, pinoleic acid, is notable for studies suggesting that it triggers two hormones, including CCK (cholecystokinin), which help suppress your appetite and promote weight loss. Pine nuts are also a decent source of lutein, an antioxidant that’s key to sharp vision and boosts your immune function. Pistachios can add a lot to your diet aside from just making a delicious ice cream or gelato flavor. Pistachios’ antioxidant content, including vitamins A and E and lutein, has been shown to have a big beneficial impact beyond that found in a typical Mediterranean diet. A notable study published in the Journal of Nutrition in 2010 found that participants who included pistachios had higher blood levels of these antioxidants, which correlates to lower bad (LDL) cholesterol. This green nut has a distinct crisp texture and sweet nutty flavor that’s wonderful for snacking. Plus, aside from the health benefits that all nuts offer, pistachios give you a lot of bang for your caloric buck. 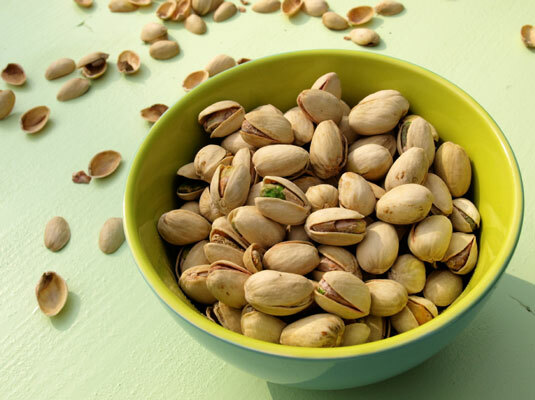 One ounce of pistachios is about 47 kernels and around 170 calories. Because you have to take time to open and chew them, they increase satiation. Compare that to cashews (about 18 kernels of cashews for the same number of calories) or walnuts (about 14 walnut halves ). In an ounce of pistachios, you’ll also find the same amount of potassium you would in an orange. Pistachios are found prominently in traditional desserts of the Mediterranean, like baklava, Turkish delight, and nougat. It was and is still frequently ground up for use in sauces or chopped and added to fruit or puddings. Researchers from the University of Scranton found that walnut’s antioxidant content is almost double that of all other nuts, including almonds and hazelnuts. 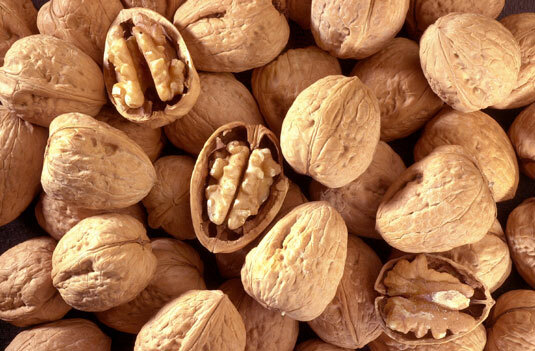 In addition, unlike most nuts that contain primarily monounsaturated oils, walnuts are composed of mostly polyunsaturated omega-3 oils, and linoleic and alpha-linolenic acid. Therefore, walnuts have particular benefits in terms of reducing inflammation, risk of heart disease, and certain types of cancer. These omega-3 oils also benefit brain health and offer protection from cognitive decline (appropriate, don’t you think, given that the walnut’s shape resembles a brain?). 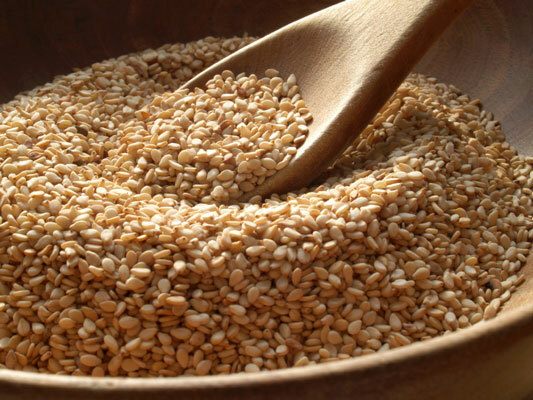 Most notably in Mediterranean cuisine, ground sesame seeds are used to make tahini. Tahini is a paste that is the major component of hummus (ground chickpeas), baba ganoush (eggplant-based dip), and halva (a popular confection). You may not consider that the seeds on your crackers, breads, and bun would be chockfull of nutrition benefits. But sesame actually contains more calcium than any other nut or seed (the amount even increases when the seed is toasted). Just a quarter cup of sesame seeds gives you the same amount of calcium as a glass of milk.